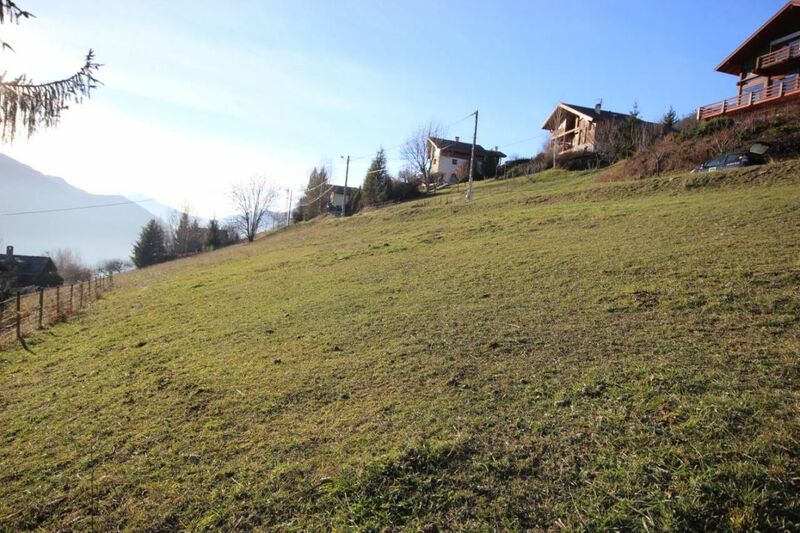 On the Versant du Soleil, facing La Plagne, beautiful building land serviced, ideal site to build a primary or a secondary residence. Amazing views, South-facing, close to the valley and easy access in summer or wintertime. Primary school in the village and school bus shuttle service for the high school. In the summer, autumn and spring, the area is fantastic for hiking, mountain climbing, abseiling and paragliding. White-water rafting and kayaking are available in nearby Bourg-Saint-Maurice. The immediate locale is on a comparatively gentle slope for the area, making it a draw for cyclists looking for a less arduous ride. Nearest golf course is in Les Arcs - a 30-minute drive . In the winter, there is an easy access to a range of ski area.